Andrew Darley talks to Julia Tarnoky about playing gender neutral in Juan Radrigán’s play Children of Fate. 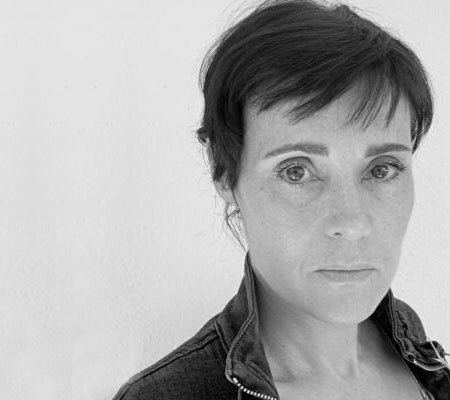 Inside Intelligence, the London-based theatre company, are hosting a production of Juan Radrigán’s critically acclaimed play Children of Fate this November. The South American writer is widely known and respected in his homeland, yet remains relatively unknown elsewhere. The Chilean-based play has been directed and translated by the theatre company’s founder and artistic director, Robert Shaw, who is bringing it to life for London audiences in the cutting-edge CLF Theatre’s Bussey Building. The play deals with both the personal and political as it follows the lives of a group of people who are left impoverished and marginalized following the brutal dictatorship of General Pinochet in Chile from the 1970s onwards. Based on real historical events, the work portrays the human instinct to survive and rise above devastating circumstances, which appear almost impossible to escape. Bringing the play to Britain has further significance as it also reflects on the oppressive reign of Margaret Thatcher whom was an ally to Pinochet and lauded him as “the man who brought democracy to Chile”. 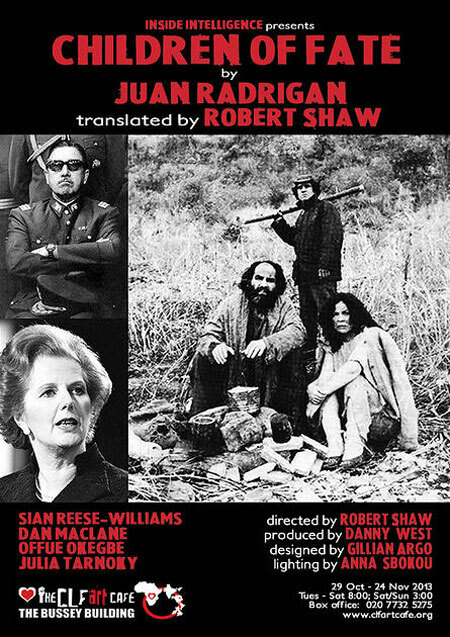 The characters in the play and the deprivation they suffer are a direct result of the ideology imposed by Pinochet, that were later adopted by Thatcher in her political ruling of Britain during the 1980s. Polari spoke with actress Julia Tarnoky who plays Aurelio, a character described as being asexual or gender neutral, about her interest and involvement in the play. She gave us an insight into the development of the play, what it is like to play a character who challenges typical societal and sexual ideals and what audiences can expect from this stage production. Firstly, I’d like to ask what drew you towards this play and why you wanted to become involved? I had seen the role advertised on Casting Call Pro. Aurelio was to be played “both” (meaning either) by a man or woman, aged between 25-45, described thoughtfully as “a homeless individual driven into their own world of imaginary people and places through years of struggling against a brutal and unjust world determined to marginalise and dispossess them” at a theatre in Peckham. I Googled it and found out it would be at the Bussey Building and ran by Robert Shaw’s company Inside Intelligence. I had been to a production of his, Fermin Cabal’s Shoot with Vincent Ebrahim as we had both worked with Raad Rawi who starred in it and then met when Robert he was planning a production of Sylvia Plath’s Three Women. Always good, interesting writing! The play is set against the backdrop of Chilean government under the ruling of General Pinochet and the brutal implications it had on people’s lives. Do you think the political atmosphere and themes it captures may reflect on society today? Oh yes, very much so. The coup only happened just over 40 years ago in 1973 and the Chilean people and their lives are still very much affected. There are a lot of people involved, on both sides, who are living and dealing daily with the memories, losses and effects of the violence, terror and upheaval . Would you agree in saying that the play deals with both the political and the personal? Yes, I would. All the characters seem to have an awareness of both, and stand in different relations to each, so I think the audience will get quite a broad picture. I wanted to talk to you specifically about your character in the play who is described as asexual. What was it about the character that interested you? Aurelio was written as a man, but was originally played by a woman, and as far as I know was referred to as male in the script used, or perhaps generated by that first production. As it was advertised as being “both“, and the play seems to be situated, if not set, in a no-mans land; I thought a character who seems to be a product of that landscape might well be ‘no-man’. As an actress, do you think it’s more exciting to play characters who have traits or aspects that may be deemed as unconventional? It is certainly exciting and part of the challenge is to realize and portray an unconventional character’s traits and aspects conventionally so that they can be translated to a live audience, and vice versa to realize a conventional character. It is about making the ordinary, extraordinary and the extraordinary, ordinary. A character’s nature is native to them, however unusual it may appear to another creature. Did you undertake any research for the role? If so, what sources did you turn to? I am just in the middle of that right now. 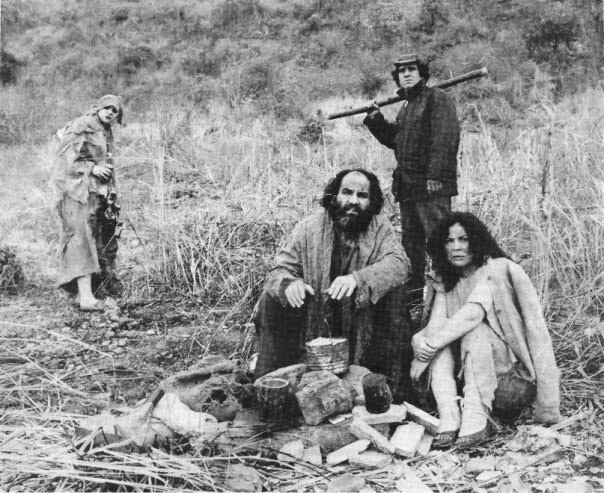 I will be watching as many films by Patricio Guzman as I can find, including The Battle Of Chile, Chile, Obstinate Memory and Nostalgia For The Light. Also, the film Missing has been recommended by both Robert the director. I have a Chilean friend who has vivid memories of the coup and times from her childhood that she has offered to share, so I will be meeting to hear her first-hand account. How do you get into the mindset of the character? The way into the mindset of a character is through the words. That is always the surest way to develop a workable understanding of who you are playing, whatever the role. Has this role given you a new or different understanding of sexuality? I don’t know yet. A character’s sexuality quite often develops by itself without my noticing. One character I’ve acted previously, a boy, I think the audience recognised was gay before I did, and I think the writer might not have intended it either. It was not the focus of the play, just naturally occurring. Do you think the general public may see asexuality in a similar fashion to the way bisexuality is viewed i.e. many believe it does not exist and that we are either gay or straight? I think that unless people know someone, identities beyond their own experience may seem unlikely or incomprehensible. But logically, one or the other, both or neither covers everything. Following on from that, do you think this play will provide an insight or understanding of sexual neutrality? Or even challenge people’s perceptions for those already aware of asexuality? I wouldn’t say so as that would be a very ambitious claim and it is still in development right now. But it is an interesting question to bear in mind. The play’s tagline is “Anyone who wants to live has got to change the world”. Does this idea mean anything to you? I suppose the idea is to live with a capital L and to do that by changing the world means going out into it and positively taking up or consciously moving through space, depending on your own inclination and nature. Even though the play deals with the struggle of poverty and deprivation and people’s attempts to overcome it, do you think Children Of Fate offers hope? Yes I do, after listening to the play being read and the characters getting to know each other. They really talk and its truly absorbing. The play is taking place in the next couple of weeks. How does it feel as an actress rehearsing and living with a character for so long and finally being able to take it to the stage for audiences? Well, it’s early days but by the time this is published I hope I will know who Aurelio is and how that feels and looks, ready to present and release. Have you taken or learned anything from working in the play so far? Watching the negotiation between the three other characters as they are all strangers to each other is really fascinating. Sian Reese-Williams, Dan Maclane and Offue Okegbe are all fantastic actors. Although it’s been over 30 years since the play was first performed in 1981, what message do you think audiences today will take from it? Human nature, human nature, human nature! Children of Fate will be shown in the CLF Theatre at the Bussey Building from October 29th to November 24th. Tickets are priced between £7-10, which can be purchased online by clicking here.